For a number of years, Palette Gear's Control Surface has been at the literal fingertips for users, enhancing workflows within Adobe's CC, Final Cut Pro X, to name a few. After years of waiting, Palette now offers full functionality with Capture One. Check out the integration after the jump. My interest in Palette for post-production paired with Capture One started two years ago when I was first drawn to the appeal of tangible adjustments. Our very own Alex Cooke published a superb review of the Gear Professional Control Surface as used in Lightroom. It's thoroughly on point and a resource I referenced in making my own jump to Palette. If you haven’t read it and are considering Palette, I suggest checking it out. Back in 2016, the problem as it related to Capture One was that Palette's sliders were not yet compatible. I held out at first, eventually giving up hope of using a system like Palette in my workflow. That changed at the 2018 PhotoPlus Expo, where Palette was presenting a live demo at their booth using Capture One 11 and unbelievably it included the use of sliders. The time had finally come to push the arcade button. Turning knobs to adjust image settings is akin to watching films of George Martin arranging audio tracks, or far more relevant, adjusting the contrast on my Beseler 23CIII-XL Enlarger. I was unsure about the performance of Palette's sliders at first, even though that's the feature I waited two years to become available. A common qualm is that sliders don't automatically return to a neutral position for each image. As one advances through a selection of images, adjustments are not applied to subsequent images until the slider is moved where it will catch up to its position. 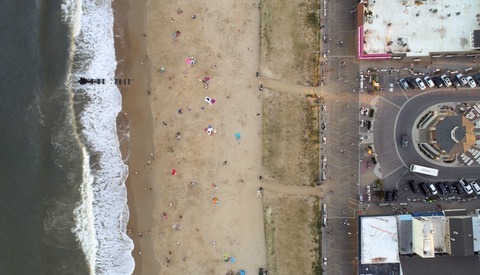 Photographing in manual mode most of the time, I immediately learned to prefer that feature moving through an edit, putting me in the ballpark automatically. The sliders have become my favorite module in the system, matching how Capture One's tools adjust with smooth controls. Better yet, you can define the adjustment range for each slider's module, such as an adjustment range of 0-10 for contrast moving from left to right, or -2 to +2 for exposure, with zero right in the middle. 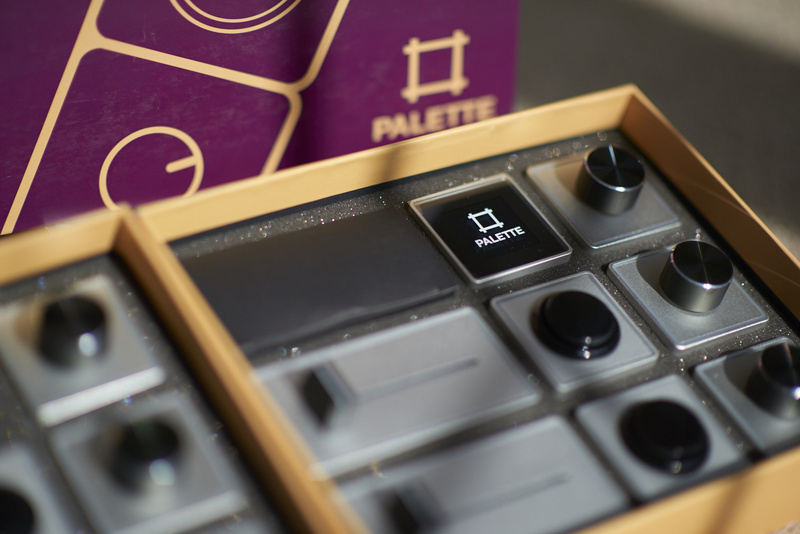 I got Palette's Pro kit and will probably buy two additional sliders for extra flexibility. I use sliders the most by far, they're amazingly intuitive and practical. Initially, I did not expect Palette to save time as learned muscle memory would need to be developed quantifying adjustments normally made with a cursor in Capture One. It takes time to dial in how you want the system to function, arranging the modules, and determining what tools you need. Surprisingly, that intuitive functionality instantly shifted my focus from numeric values to the photograph itself, which seems so essential in hindsight. Capture One's interface was never in the way, but Palette connects users to the software in a different way. With that newfound freedom, the visibility of the Tool panel in Capture One became less pertinent. My primary display offers a 4k resolution, which I almost never used because the pixel density makes reading scrubby sliders difficult to read. To be fair, Capture One 12 improves the size of icons in acknowledgment of that challenge. Consequently, I kept my 4k display scaled to a lower resolution for larger text, but the need to view scrubby sliders in fine detail is less pertinent with Palette. My 4k display is now set in 4k resolution to better present higher resolution images, which makes zooming in, retouching, and masks faster to create. PaletteApp is compatible with both Capture One 11 or 12 for, with up to 18 powered modules plus the USB powered Core module. Every module requires power, so it's best to connect directly to a USB port on a computer as opposed to a hub. The menu is super visual and intuitive: selecting a connected module in the PaletteApp allows users to assign both a function and illuminated color. The software recognizes anytime a change is made to the hardware layout and maintains designated tools applied to each specific module. Arcade buttons can be assigned to functions from Capture One's menu, which loads directly in the PaletteApp for seamless integration. Neither Palette nor Capture One needs to be restarted in reassigning functions or switching between profiles, offering additional functionality with the same modules. Profiles are also built-in for compatible applications. It's still an evolution of preference, so far I use two custom profiles: one for editing and another for color correcting. Palette enabled me to visually focus on photographs, not numbers when making adjustments. That reduced dependence on Capture One's Tools panel, making a 4k (or higher) pixel density more manageable to work with. Less fatigue from repetitive movements with a cursor tool. This is really practical in marathon work sessions, potentially for those with carpal tunnel syndrome or other physical requirements. Where physical desk space might be limited, Palette's customization takes fluid-like advantage of unused real estate. Favorite slider function: exposure adjustments. Favorite arcade button function: process (export) images at current settings. Honorable mention: "Preview Layout" is especially helpful to remember assigned functions within Capture One when getting started, similar to the pop-up tips on a Wacom tablet. Favorite dial function: "Kelvin + Tint" setting, adding a second adjustment to the dial with a press and turn function. Honorable mentions: RGB mid-tone adjustment in the histogram, and the "Adjust Any Slider" option which adjusts whichever tool the cursor is hovering over. Capture One with Palette and a digital tablet offer a dynamic, synergistic workflow experience with superior speed, precision, and flexibility. Black and white channel sensitivity can be assigned in Capture One 12 exclusively. Vignette adjustments with a slider or dial. One advantage of having so many modules is to minimize switching to a cursor or stylus, and not having this common tool available is somewhat self-defeating. Increased or adjustable friction resistance in the dials. They turn almost too easily and added resistance might aid in finer adjustment controls, which is adjustable. Single dial functionality for highlights/shadows, sharpening amount/radius, etc., with a press/press and turn. A vinyl overlay that adheres to sliders denoting different increments such as percentages or stops. An optional dark mode in the PaletteApp for macOS Mojave would be easier on the eyes. Pass through USB Port. 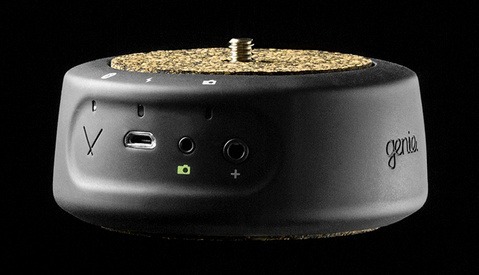 This would be helpful working in the field with fewer USB ports available, but would also be a challenge with greater numbers of power hungry modules. The ability to split up the palette into a left and right configuration would be epic. It would require a second hub and USB port, but being able to divide tasks on a physical desktop. An entirely personal need, I need to find a better cable manage the Wacom Intuos Pro tablet's USB power cable. A Streetfighter II Turbo profile for the arcade buttons. Hadouken! Before/after preview assignable as a single key in custom keyboard shortcuts, allowing Palette's arcade button to be assigned to the task for a rapid check. A heads-up display for the Tools window at an easier to read display resolution with a view/hide toggle. 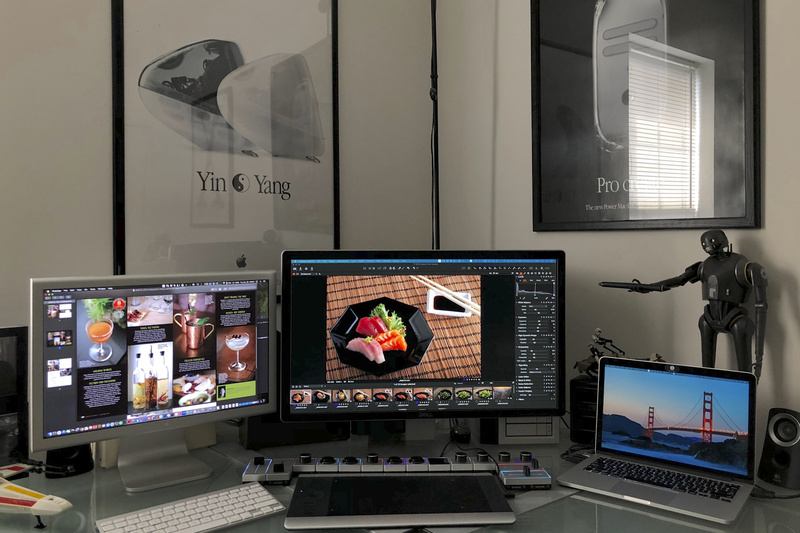 My workflow includes displays with resolutions of 3840x2160, 2560x1600 and 1680x1050 pixels so there isn't much of a standard across what's at my desk (never mind the industry). Having an optional heads-up display would also be movable to another display. While Palette accelerates working on a 4k display, I'd still like to be able to easily read the values of each tool. As a throwback example, Apple's Aperture 3 had this and it worked wonderfully well. 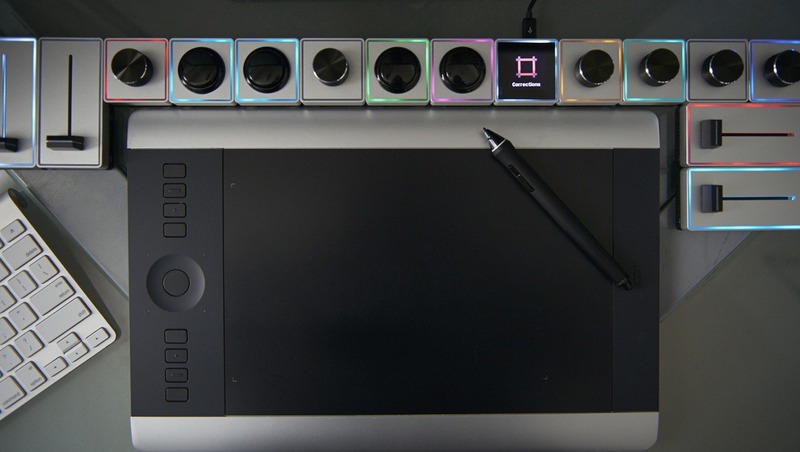 Palette enables Capture One 12 users to better focus on their photographs while swiftly making precise, tangible adjustments. The system's robust yet easy customization and flexibility will improve any workflow, fitting practically any workspace, and is a perfect companion in Capture One 12. 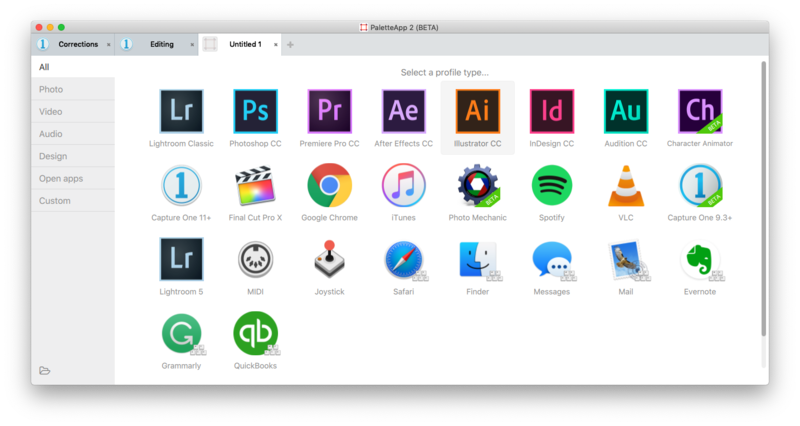 Palette brings features to the desk that transform the user experience and is worth seriously considering for anyone who spends long hours working on photographs. Palette's flexibility with Capture One is vast; experiment and find what works best for you. I’ve lost track of the number of times I’ve reconfiguring both Palette's physical and functional layouts and my workflow improves with each iteration. The inclusion of a Wacom tablet in the mix creates a trifecta of tools that I personally consider essential. Developing muscle memory for different settings and physical positions of sliders, how far to turn a knob, will become second nature. It's important to push through any nominal slowdowns getting settled in, bearing in mind that your workflow will accelerate and save time while improving your workflow in Capture One. Plus, the experience is a lot more fun. If you're already a Capture One user, you probably know how customizable the interface is and will feel completely at home in that process of discovery. For setup inspiration, check out Palette's Instagram feed and their community profile page where users can share configuration settings. on the sliders how do they recenter for the next image ? I read the dials you can click ? Good questions. Pushing down on a dial will reset that adjustment which is really swift. I'd like an added option to remap it as a before/after preview just for that setting (like option-hold click on the undo arrow for that tool). It's really useful if I copy and paste an adjustment but have a tool checked that I should have left unchanged. Regarding sliders - The first thing to keep in mind is that a slider will not auto apply a change to subsequent images until you physically move that slider regardless of where it starts. If any given aspect of an image needs to be adjusted, the slider will have to be moved regardless of where it starts out at. That's where muscle memory starts to kick in. To go one further, if an image is underexposed and the Palette slider is already physically around +1 stop from the previous image, I'll simply nudge it and that tool will jump to that position right away. If it's in the wrong direction, I still have to move the slider. The numeric values matter less when you are visually focused on watching relative color adjustments. One of the first people I learned color grading from was red/green color blind, so I get how significant specifics can be. But shooting in manual mode for the histogram I tend to need to bring up exposure values in post-production and find it helpful having the slider already pushed in that direction. Thanks for your comment, Chad, I hope this helps answer your questions! It's a neat system and I'm keen to try it but more importantly: Are those apple ads framed and displayed as art?! Indeed, one is from Macworld NY 2000. The other two I can’t remember, Pro Create for the Power Mac G4, and Introducing Mac OS X 10.2 Jaguar. I also have a 30th anniversary Mac employee poster in my studio with a super old Apple Computer rainbow sticker.